My father-in-law George Richardson (dec`d) served as a Flight Engineer in 355 Sqn at RAF Salbani from 1943 to 1946. 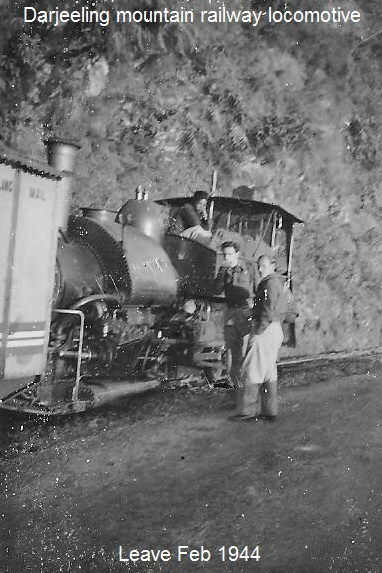 Here are some poor pictures from his album taken during one of his health recovery trips to Darjeeling of the narrow gauge railway there. Photos show the track at the side of the road, including a train in the shadows, the bottom photo shows the temporary “Z” at Batasia following a land slide in the later 1930’s.